I am so happy that it’s veggie basket time again! There is just nothing like eating lettuce with its buttery leaves that taste like the sun. 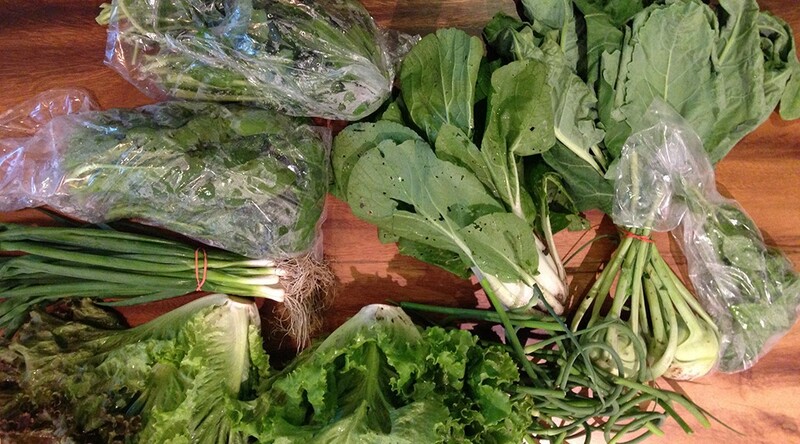 In the box this week: 2 heads of lettuce, green onions, spinach, arugula, bok choy, kohlrabi, basil and garlic scapes. I started this blog as a way of capturing, archiving and sharing my transition away from BIG FOOD.